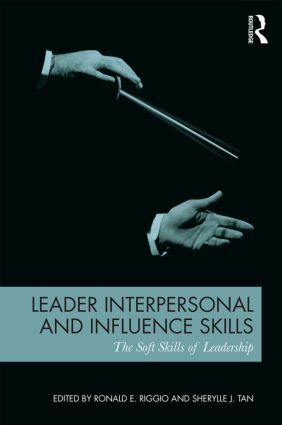 This edited volume explores different models, conceptualizations, and measures of leader interpersonal and influence "soft skills" that are so necessary for effective leadership. These include the communication skills, persuasion skills, political savvy, and emotional abilities used by leaders to inspire, motivate, and move followers toward the accomplishment of goals. The book emanates from the two-day-long 21st Kravis-de Roulet leadership conference, which brought together top scholars working in this area. The intent of the conference and this edited volume is to increase understanding of the interpersonal and influence skills, or "soft skills," of the leader, to highlight state-of-the-art research on the topic, and to provide clear, research-based guidelines for the development of leader skills.Chapter authors are recognized experts in their respective areas, and each section of the book will be introduced by an editor-authored chapter reviewing the specific topic area in brief.